Home › News › EASY NEWS 10.07.13. For those of you applying for Certificates of Airworthiness, Initial Air Worthiness Certificates and a few other associated bits of paper the Civil Aviation Authority have launched their on-line service and rather interesting it is too. What you can do on line and what you can’t only becomes apparent if you try and download an old form, which is a less than helpful way to go about notifying changes but, as the CAA website is pretty pants anyway, hardly surprising. They did send a card out to us advertising the changes but I doubt if it went to all interested parties. If you need to know then go to www.caa.co.uk/OnlineForms. Its early days and we have only made one submission so far but another is due later this week. For me it is rather frustrating especially as if you accidentally try and go back on the clicky thing then its all gone and you have to start again. You also need to be absolutely sure that you have all the information to hand before you start. Despite a dummy run (I was the dummy) we still needed stuff or had it somewhere else on the computer. They still don’t tell you what you need to send until afterwards when the CAA send you a receipt for a cheque you haven’t posted if you choose to pay that way. Ah, nearly forgot, there is no way to type in ‘not applicable’ to some of the questions. We stuck in a zero instead and that seemed to work. Rumour control can report that a new method for applying for a CofA specifically for balloons should be out soon. I don’t expect it will make the process any quicker but it may be a welcome move forwards. More later on the subject I’m absolutely sure. 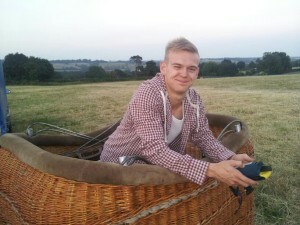 Congratulations to Matt Rate who checked out in Roofcare kindly loaned for the task by Howard Cudsden. The Main Man himself David Court signed him off. Having driven down from Thirsk he enjoyed a few hours zedding in the shade at Sackville before the flight. Dave reported that G-VODA, although it had quite a few hours on it, was substantially rebuilt recently and flies beautifully. Being much less porous than the balloon Matt had been flying recently he needed a couple of practice approaches to get the feel of the different balloon. There was loads of crop but few animals so they had the opportunity for lots of approaches and lots of low level work. The final landing was in a welcome uncropped corner of a wheat field. All in all a very good safe flight and good to see another young pilot getting their licence. Tim Wilkinson prepared a celebratory steak supper afterwards which set Dave up for his long drive home. Matt went on to do his solo the following day with Andy Austin supervising. Clearly Matt has had a lot of very generous help along the way. It had been a pretty busy day for Dave having already done Neil Beckwith’s GFT at Welburn, North Yorkshire in the morning as well. A challenging flight apparently, with 15 knots at 500ft in one direction and 2 knots on the surface going back the other way. Neil handled it all very well and passed with flying colours and completed his solo the following day at Pennine Region's Thirsk Meet. For Captain Court it was back to business the following day after his epic trip completing another training flight for his son Alex. Good on you David and big ones to Matt and Neil. Got naff all to with balloons or the news but we came across this whilst researching water troughs. Its brilliant and I can think of some excellent applications! The smile says it all. The 6th of July was a joyous day indeed for Carolyn Philpot whose super dad Graham Philpot sadly passed away a couple of years ago finally managed to take his balloon G-CDOB, a pretty Cameron C-90, out of retirement and went for an early morning training flight with Steve Bray, best known as the pilot of the Capital Balloon Club’s balloon which lives at the Black Horse. 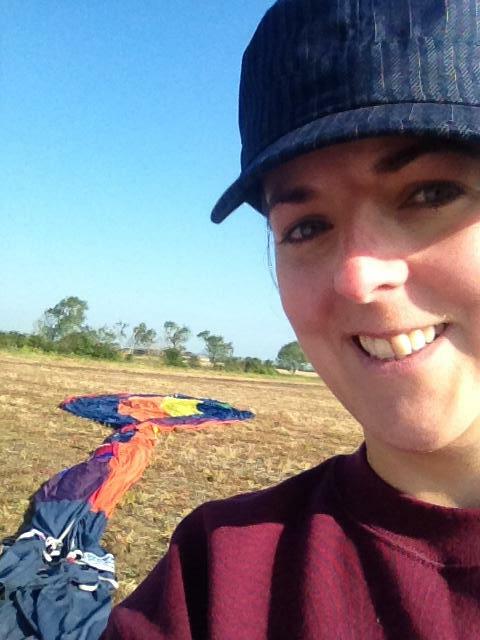 Carolyn posted a well happy note on Facebook “Dad last flew this balloon on 22 September 2010. It's still the most beautiful balloon ever. Had a fabulous flight thank you to my fab P1”. Next stop will be a PPL then. The CAA’s Safety Regulation Group have produced the last issue of the General Aviation Safety Information Leaflet better known as GASIL. I must admit to being a little confused in the piece ‘The Final GASIL’. The advice they give in light of this news is that as technology has moved on since the early days of GASIL it is much easier for a pilot to find the information needed to make sensible risk assessments about the safety of an intended flight. They go on to state ‘However, with information so freely available , and published by anyone with access to the web or social media, we must consider carefully whether all the advice available should actually be followed. Before you change the way you were taught to fly, consult the information published by the Regulators (CAA, EASA) or those official organisations supported by them, for example GASCo, ASI, EGAST or EHEST. However, even official information can be accused of producing ‘information overload’. We must make a conscious effort to ensure we obtain all the relevant information, and use it sensibly in our pre-flight planning’. They close with that well-loved proverb Proper Pre-flight Planning Prevents Pathetically Poor Performance. The valuable Occurrence Digest will continue to be made available monthly on-line www.caa.co.uk/publications then click on ‘search for a publication’ (NOT the ‘search’ function on the publications page) and ask for ‘safety data’ where a list of recent Occurrence Digests will be found. As if that wasn’t enough GASCo (General Aviation Safety Council) Flight Safety Magazine will no longer be delivered free. In future the excellent magazine that all aviators should read will only be available by subscription. 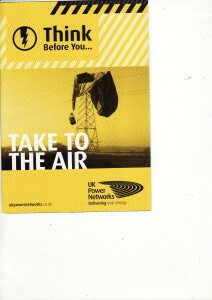 Cost is £16.00 per year (from whenever you sign up) and you can subscribe through their website www.gasco.org.uk. Do you have an ageing structure? Those lovely people at EASA must have appointed some new staff who are now looking for subjects not covered by anyone else in the dis-Organisation in a bid to make a name for themselves so herewith a current Consultation that has now been extended to October presumably as no one is interested or by now most have realised that the word ‘Consultation’ means ‘this is what we are going to do regardless’. ‘Lip service’ is another phrase that springs to mind. Not sure whether it affects mouldy balloons though but buried somewhere there is bound to be something unhelpful. Please note that consultation period for NPA-2013-07 "Ageing aircraft structures" has been extended until 23 Oct 2013. For further information please contact Rulemaking Process Support at RPS@easa.europa.eu. You could drop them a line and ask what is on the menu in the restaurant! 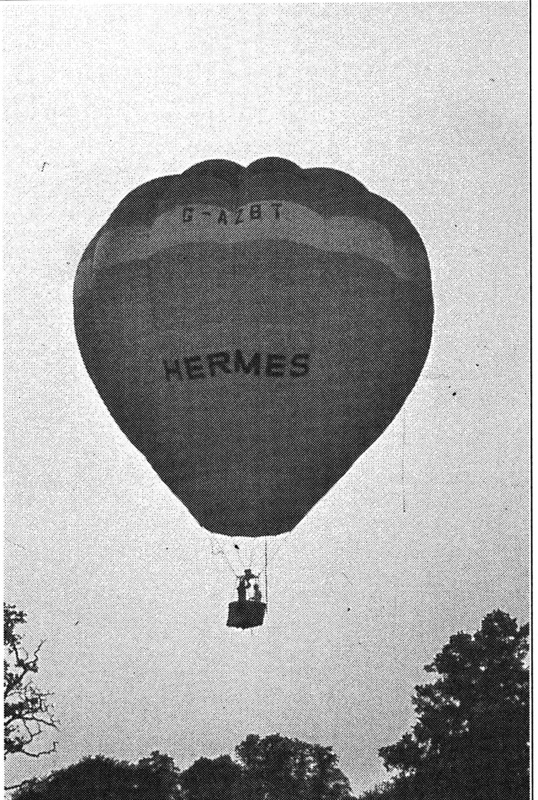 The British Balloon Museum and Library has just taken delivery of G-AZBT a Western O-65 c/n 5 called Hermes. Once more Mark ‘Stumpy’ Stelling has been ferreting about and discovered the old girl at rest in Brighton at the home of owner and early balloonist David Harris who very kindly agreed to donate it to the BBM&L. Along with the envelope came pre-Worthington steel cylinders, a well-used basket with single burner and to prove its age a trailrope which had been put to good use on many an occasion. More on its history and condition later. Western built 22 balloons and this one joins the two other Westerns in their collection, G-AZJI and G-AZOO. 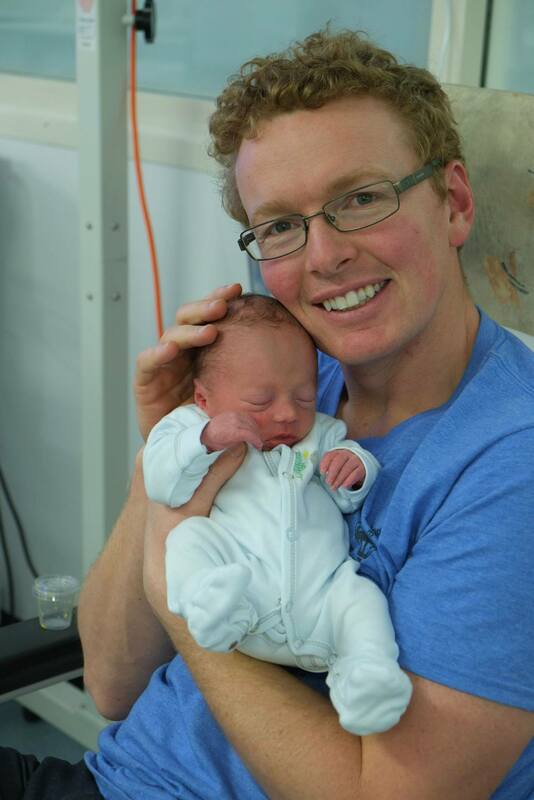 Congratulations to Matthew Scaife whose good lady Nicola gave birth to Hugo down under on 7th July. Weighing in at 5lbs and despite being five weeks early he is doing well, far, far better than his dad by all accounts! Bit of a way to go for the christening so we’ll raise a glass or three here. Issued on the 10th July is the latest missive from the Flight Operations Inspectorate who presumably as a result of recent audits have issued the following reminder to all CPL(B) pilots and AOC holders. AOC (Balloons) holders are reminded that they also hold a formal Approval of their submitted Flight Time Limitations scheme. Given the current welcome period of a blocking High pressure, operators are reminded to ensure that all of their company pilots absolutely comply with the requirements of Chapter 3 of their company Operations Manual. In particular, concerning days off and overnight rest periods. A pilot shall not fly more than 8 days between days off. Therefore, consider the pilot’s last day off, allow for 8 flying days and the 9th day must be a day off. No duties, including any non-flying duties, may be undertaken by a pilot on his day off. 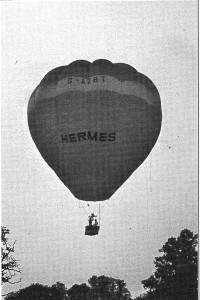 Provided a pilot fully complies with paragraph 3.5.1.3 [of most balloon Operations Manuals] the overnight rest period may be reduced to a minimum of 8 hours (to be taken between 22:00 and 08:00). After 3 days (and nights) of this reduced overnight rest period, the pilot must then take 12 hours continuous overnight rest. As far as overnight rest periods go it means that, in practice, following 3 days of morning and evening flights, the fourth morning flight period must be taken as rest, but the fourth consecutive evening flight may be undertaken. 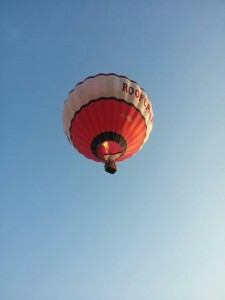 The CAA has been advised that some pilots / operators may be undertaking flights outside of the normal balloon flight period in order to ensure compliance with the FTL scheme. In doing so, pilots could be undertaking Public Transport flights in less than optimum conditions which, in the event of an incident, could be considered endangering. The CAA will take appropriate action if such cases are formally brought to our attention. There you go something dire happens and the entire ballooning community hears about it. It makes the news and the papers. You worry yourself stupid that someone is going to lob a large book at you but you did everything right and no one got hurt. Times passes by and the matter becomes the stuff of folklore, like Ray Bailey and Alec Simpson and the crane in Spain. 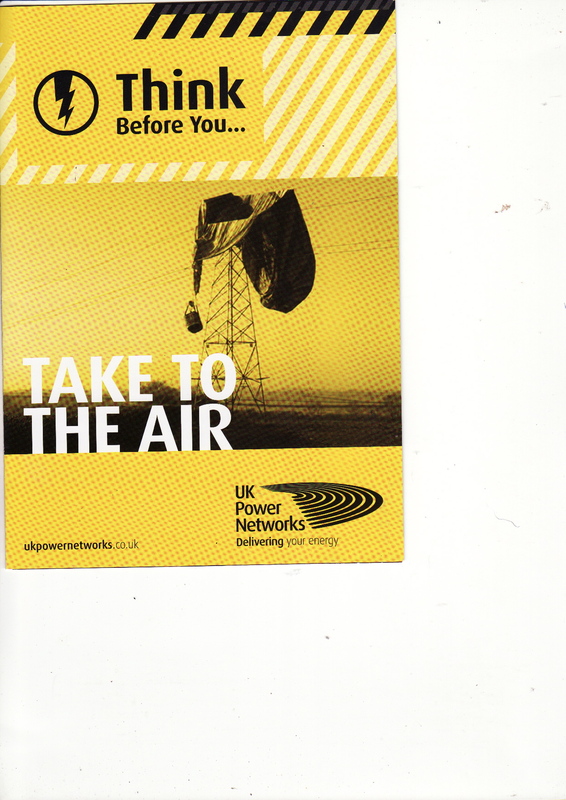 Well now, what pops through the letterbox amongst a pile of safety stuff but a pamphlet advising you not to fly into power wires and what do they call it? ‘Think before you take to the air’. I ask you. I once gave advice to a fellow pilot concerning landing from showgrounds. I said that the take-off always had to look good but don’t worry about the landing as no one ever sees that and promply used a pond to slow down unaware that the film crew had elected to follow us. Bummer it was on the big screen for ages. Make sure you make a note in your diary now for this year's AGM on Thursday 21st November. Many of the current Committee stepped in when a call for help went out earlier this year. Helped by the brilliant revamp of the Black Horse Pub the Club has seen a good revival this year and the Committee wants to see it continue to flourish so they ask members old and new to please make sure they are at the AGM and have a very fine evening. As the Chairman says, “Without you there is no club!” probably an oft used phrase throughout the Regions. Finally an independent flight test free from advertising spiel and guff. Reading Steve Roake’s excellent Cloudhopper News (Issue 64 can you believe!) seems he took Alison Hougham’s pretty squirly pinkish Tekno S-50 G-CGPH for a flight. His report is great and very well-balanced. If he gets the chance to test light weight systems offered by other manufacturers’ it will be interesting to see how they stack up. 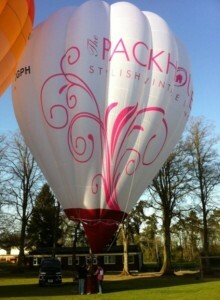 Popularity in the light-weight balloon is on the up as is demonstrated by Ultramagic now offering a larger Tekno 70. Personally I have never ever understood why it is that as ballooning gets older the kit, although flashier seems to get heavier. Maybe its not enough Weetibangs! Takes a while to download but well worth it and with other articles is a jolly fine read. http://b4s.be/c/news_64_mayjun_2013.pdf. Apparently the best way to get the mag is via Facebook which I don’t do but I am reliably informed that there is a cloudhoppers@yahoogroups.com or you can contact Steve direct steve.roake@ntlworld.com or of course you can read the article here. One of the great things about inspecting balloons is that you find out all sorts of stuff about their owners. 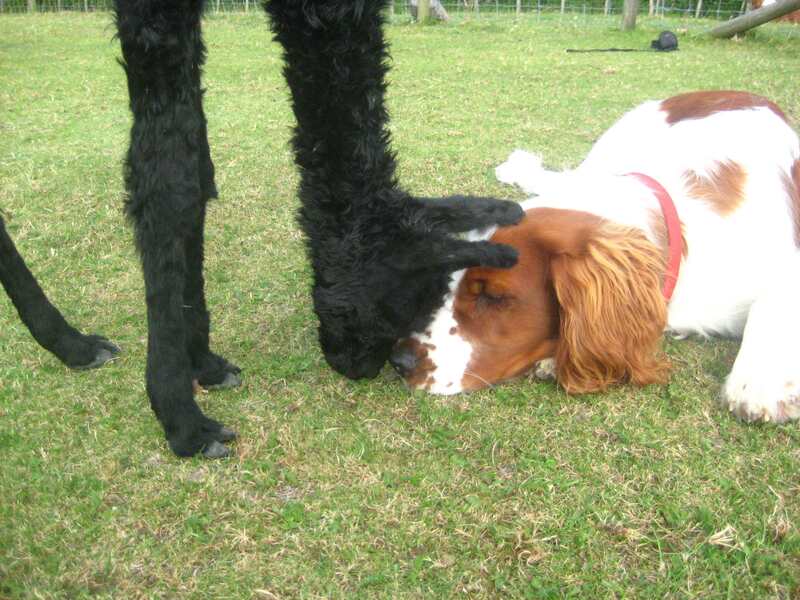 We do make a point of trying not to talk about ‘there was that tree’ so when we got to chatting to Terry Pembrey, owner of, appropriately enough as it turned out, of G-WOOL, about his amazingly well-trained and calm Welsh Springer, Cloud, he revealed that he breeds alpacas. Not commercially as we discovered when we naturally asked what they tasted like but really as pets and of course for their wool. He knits all his own socks. Apparently some of Cloud’s training included getting on with the alpacas and he had some new crias, as the little ones are called. Learnt something else. We’ve had a bit to do with llamas in the past but never alpacas. 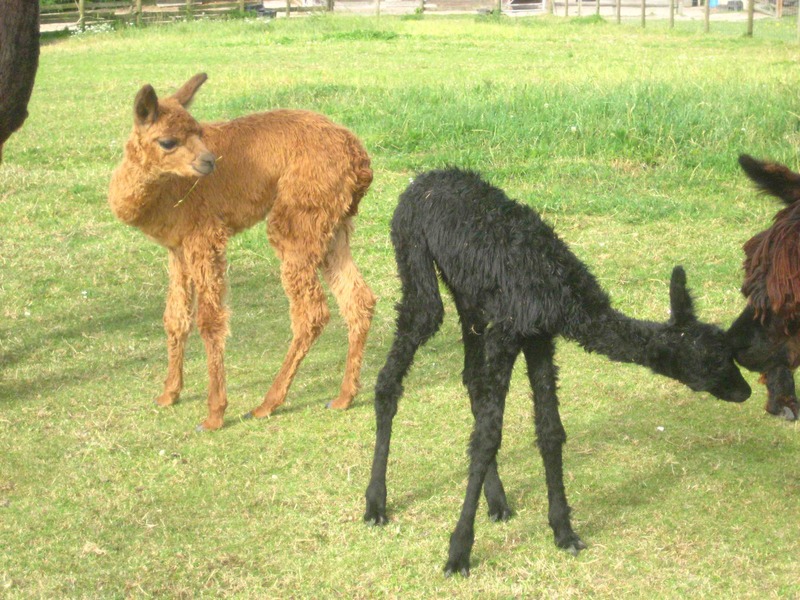 Alpacas are smaller and have one of the most valuable coats there are and highly prized as the wool doesn’t contain lanolin and comes in various colours. One of their most endearing features is that they use a common dung heap just like camels so no wandering about the paddock with a shovel and bucket. Pregnancies last about 12 months and alpacas can live for up to 20 years and the fleece is shorn annually which explains why his have no coat at the moment! So there you are, never knew that. The black one is six days old and the lighter one three weeks. Thanks Terry. Yet another Matt makes the news. 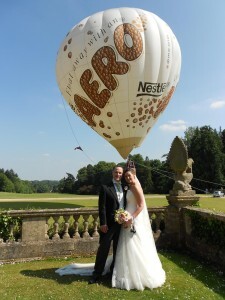 Congratulations to Matt Rowley and Charlene who got married on Saturday 6th July. 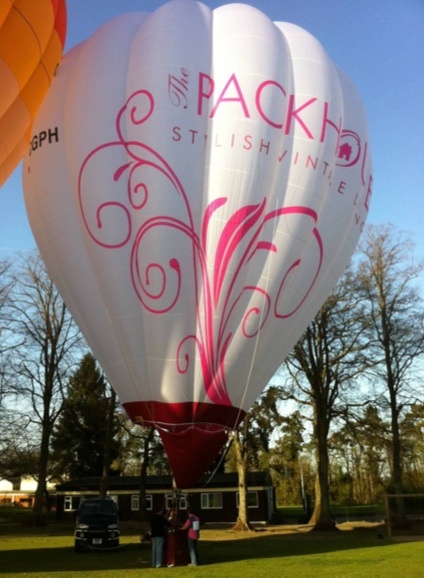 Jamie Edwards and crew turned out to help and tethered Matt’s Aero Balloon G-OAER at the right posh Heythrop Park Hotel. This weather is just great. 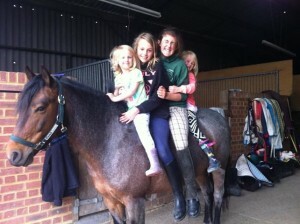 Best way to check out the temperament of a pony is obviously to have a test ride or four. Prior to heading off to a rather large gymkhana grandchildren Holly at the back and Nicole at the front with friends Miriam and Emily decided it would be a good idea to see if they could all enter the cup race. Seems Treasure the pony didn’t really care one way or the other.